These playful quilts are quick, easy, and perfect for any boy or girl. 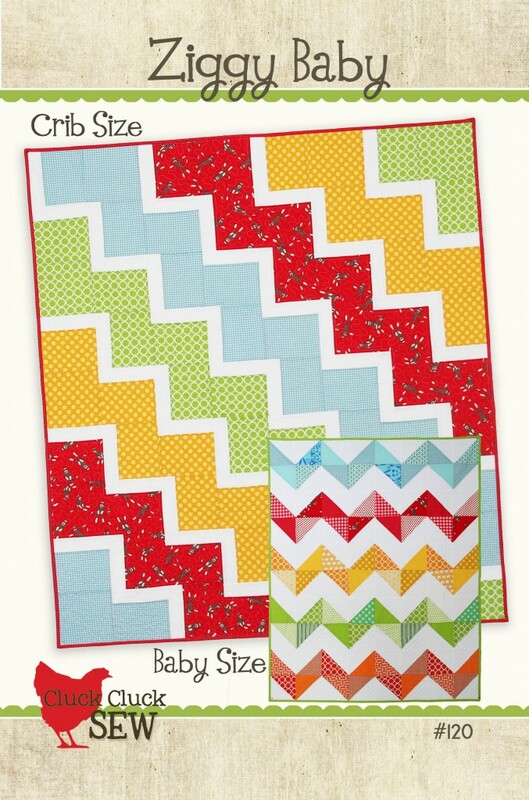 The zig-zag quilt is perfect for wrapping up baby, while the steps quilt is just the right size for tucking in your toddler. 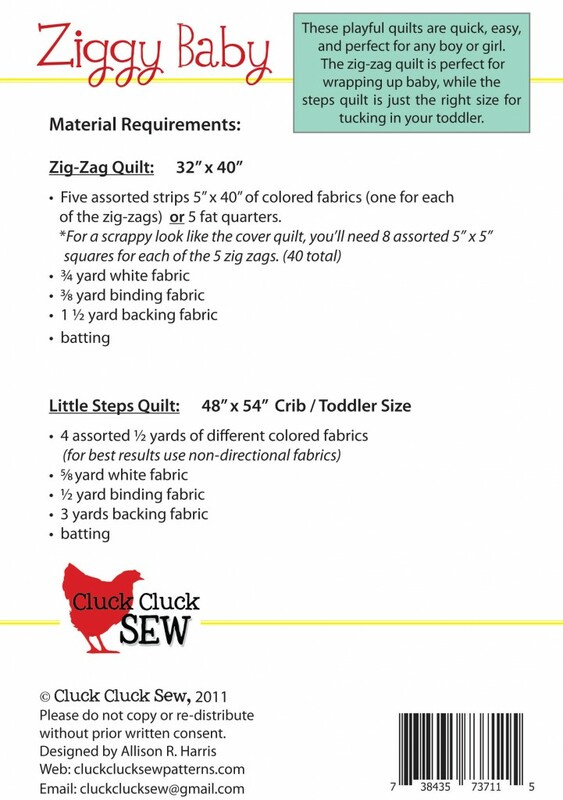 Finished Sizes: Steps quilt: 48” x 54” Crib / Toddler Size Zig-Zag Quilt: 32” x 40” This is a great pattern for beginners.